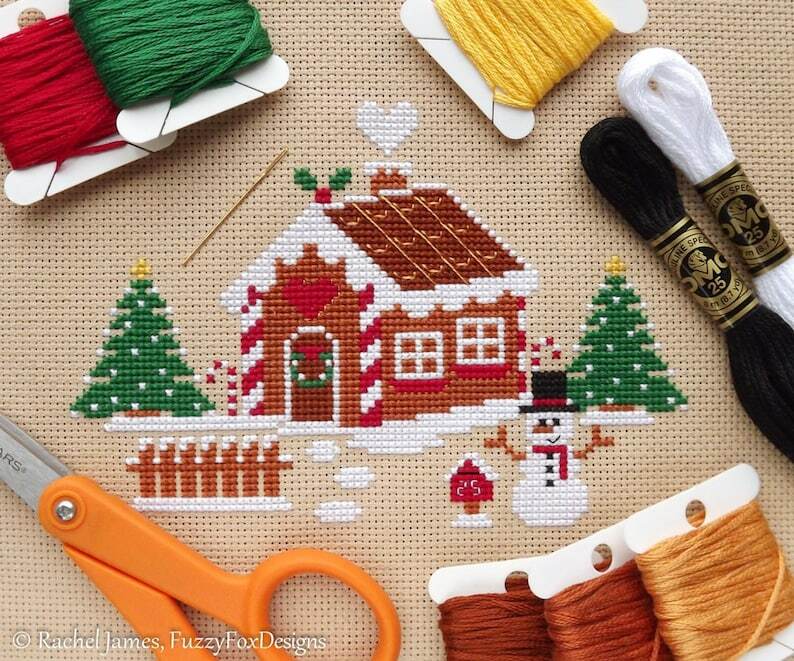 This is a Gingerbread House Counted Cross Stitch PATTERN only - no fabric or floss is included in this purchase. It is designed for beginners and includes whole stitches and minimal backstitch. Please don't hesitate to contact me if you experience any difficulty understanding the pattern or instructions. Due to their nature as electronic files, PDF patterns cannot be returned. If for any reason you are not happy with your purchase please contact me. Lovely pattern with loads of detailed instructions. This pattern is adorable and so easy to follow! Looking forward to purchasing more patterns from this shop in the future! I used an oatmeal coloured Aida cloth, which was too light for the white snow parts of the pattern. (I should have used gold Aida cloth!) So I added some outlining to some of the white features to help them stand out.